Supervisory control and data acquisition (SCADA) is a system for remote monitoring and control that operates with coded signals over communication channels (using typically one communication channel per remote station). 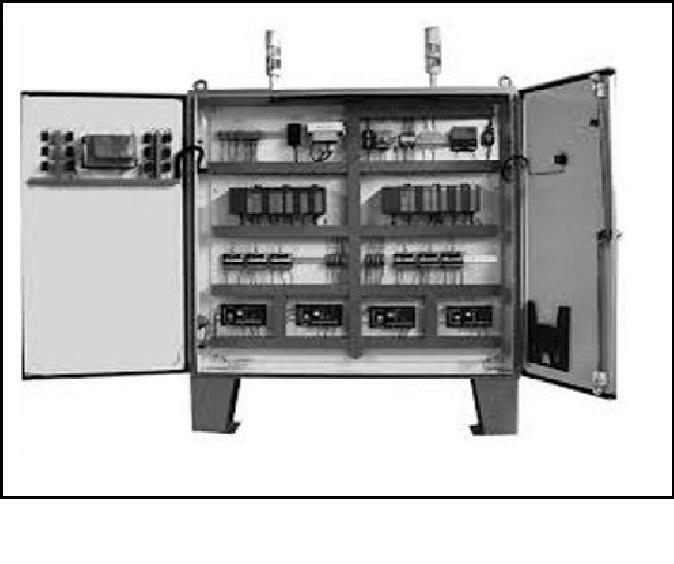 The control system may be combined with a data acquisition system by adding the use of coded signals over communication channels to acquire information about the status of the remote equipment for display or for recording functions. The term SCADA usually refers to centralized systems which monitor and control entire sites, or complexes of systems spread out over large areas (anything from an industrial plant to a nation). 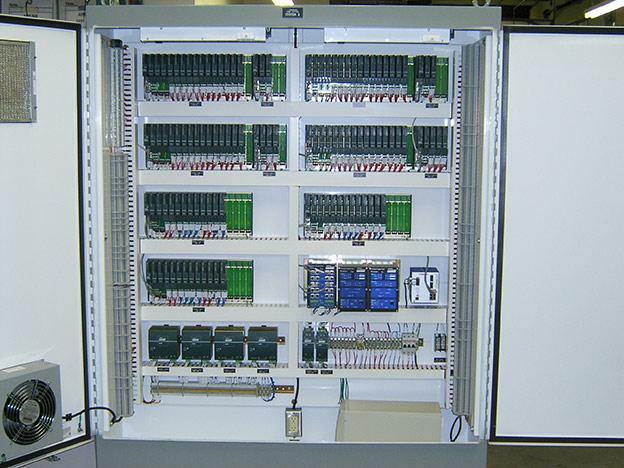 Most control actions are performed automatically by RTUs or by PLCs. Host control functions are usually restricted to basic overriding or supervisory level intervention. For example, a PLC may control the flow of cooling water through part of an industrial process, but the SCADA system may allow operators to change the set points for the flow, and enable alarm conditions, such as loss of flow and high temperature, to be displayed and recorded. The feedback control loop passes through the RTU or PLC, while the SCADA system monitors the overall performance of the loop. 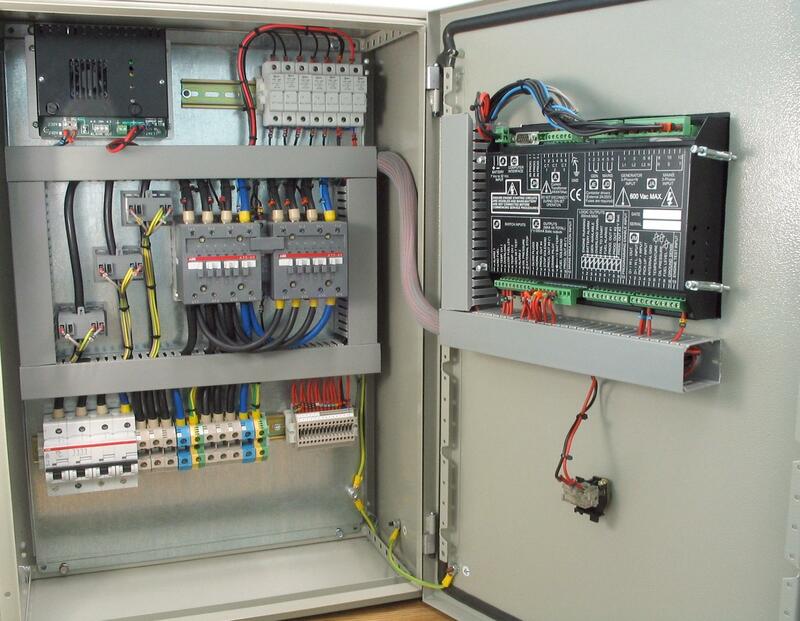 Hardware solutions SCADA solutions often have distributed control system (DCS) components. Use of "smart" RTUs or PLCs, which are capable of autonomously executing simple logic processes without involving the master computer, is increasing. A standardized control programming language, IEC 61131-3 (a suite of 5 programming languages including function block, ladder, structured text, sequence function charts and instruction list), is frequently used to create programs which run on these RTUs and PLCs. Unlike a procedural language such as the C programming language or FORTRAN, IEC 61131-3 has minimal training requirements by virtue of resembling historic physical control arrays. 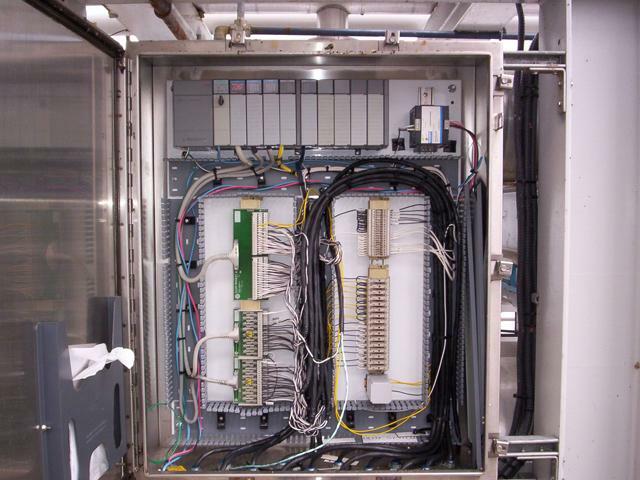 The term supervisory station refers to the servers and software responsible for communicating with the field equipment (RTUs, PLCs, SENSORS etc. ), and then to the HMI software running on workstations in the control room, or elsewhere. In smaller SCADA systems, the master station may be composed of a single PC. In larger SCADA systems, the master station may include multiple servers, distributed software applications, and disaster recovery sites. To increase the integrity of the system the multiple servers will often be configured in a dual-redundant or hot-standby formation providing continuous control and monitoring in the event of a server malfunction or breakdown.